I'm sure that everyone who has a new Samsung Galaxy S2 how synched the phone with their gmail account and most will have done the same for their facebook account and then noticed that their contacts list was full of people from those sites. Although it's a nice feature for some people many people seem to wish they could just see the list of contacts with phone numbers, this guide will show you how to hide those other contacts from various contact lists. 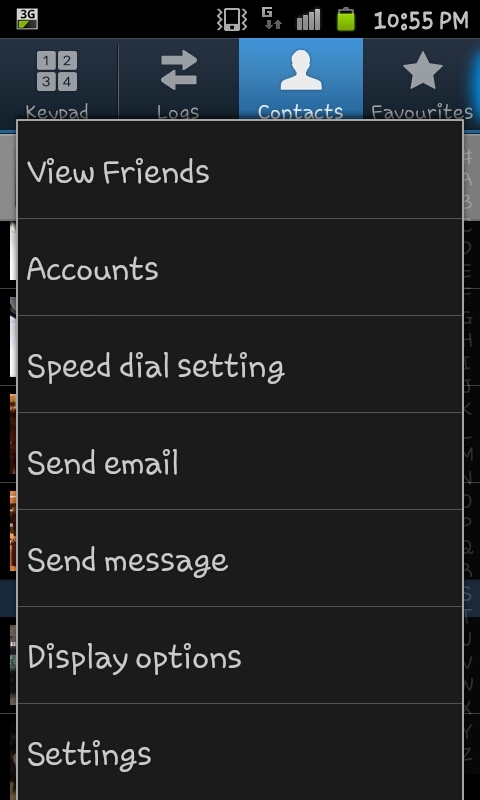 Firstly you need to open the contacts list and then press the phones menu button. This should result in a screen similar to the one on the right hand side with 6 options. The option you need to select is "More" and is in the bottom right hand corner by default. Pressing "More" should open a menu like the one on the left hand side. On this screen you need to select "Display options" (which is just above "Settings"). 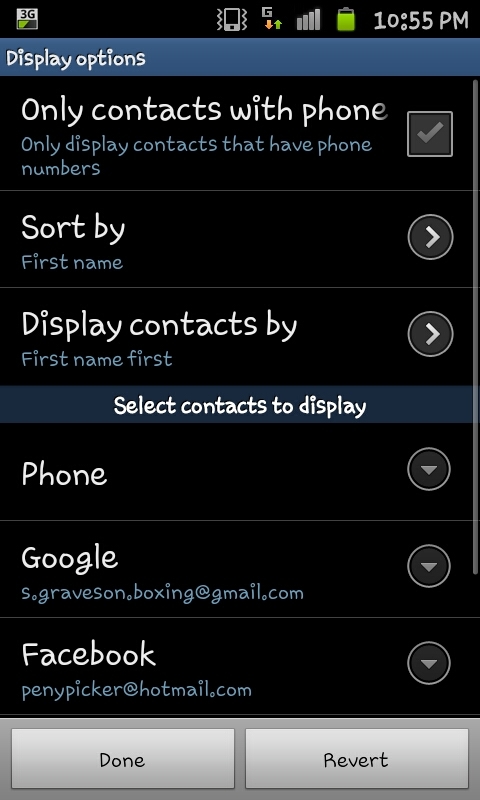 When you open the "Display options" you will notice a tick box near the top beside the option of "Only contacts with phone", you need to click this option and then you'll have hidden all those pesky E-mail and facebook contacts from your contacts list. Of course if you want to re-add those contacts back to your contacts list you can fee free to go back and untick the box and they will reappear.